The company has come up as a major Manufacturer, Exporter and Supplier of Industrial Blades in Mumbai. The wide range of the Industrial Blades, offered by the company, is inclusive of Panel Sizing Saw Blades, Split Scoring Saw Blades and Shearing Blades. The company offers the best grade Industrial Blades at the market leading prices. 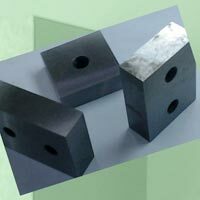 The company ensures that the consignments of Industrial Blades are delivered on a timely basis.